The 2016 Spring Promotional and Semiannual meeting of the Board of Directors were held on May 21st at Catholic University’s Raymond Dufour Athletic Center. 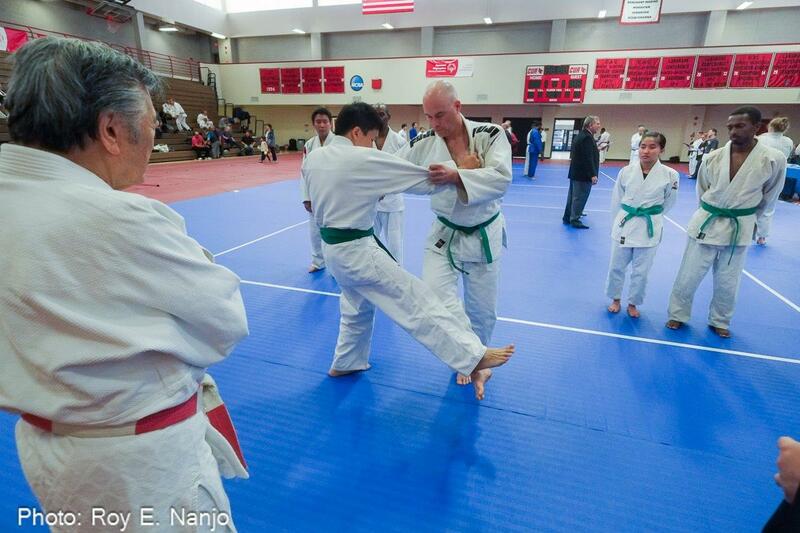 A good turnout of judokas, from the youngest examinees to the most experienced administrators, attended the event, despite the poor weather conditions and the change of venue for the Promotionals from suburban Maryland to Northeast Washington, D.C. Check out the results below, and the (once again) great picture galleries provided by Roy Nanjo, Head Sensei at Villanova.